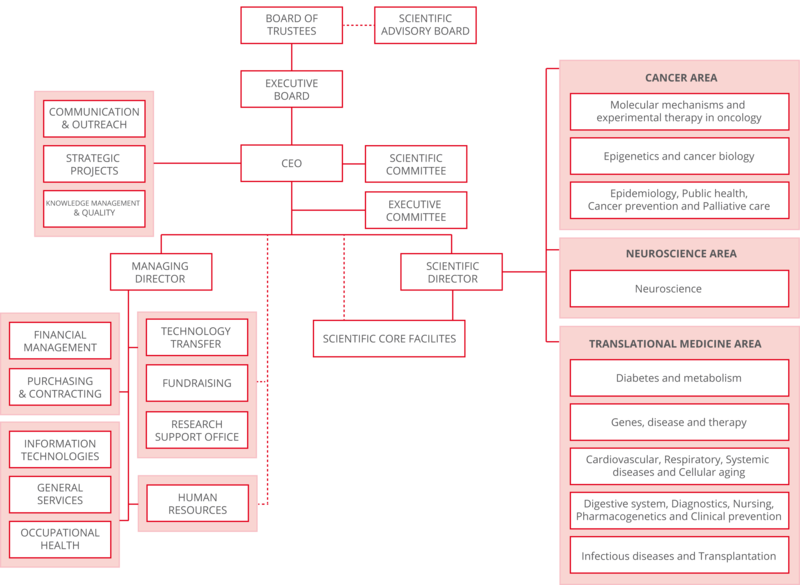 The board of trustees is the highest governing body of IDIBELL. It is chaired by the Health Minister. The board of trustees is the highest level of representation for the institution. Among its funcitons are approving and supervising the annual budget and the strategic plan of the institute. The Executive Committee carries out the periodical monitoring of administrative and managemente activities of the institute, in additon to functions delegated to it by the board of trustees. Harvard Medical School. Brigham & women's Hospital/Dana Farber Cancer Institute, Boston.